Look at the fabulous updo! Bobby pins are the key for holding the style in place. 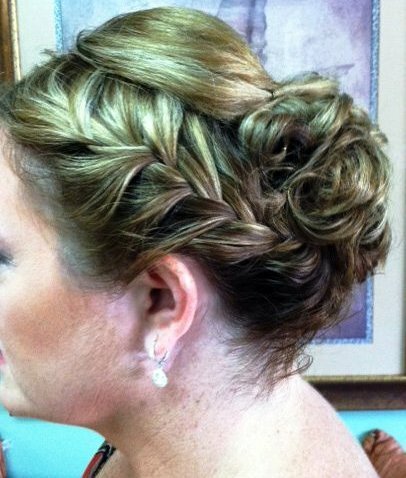 But, you are bound to loose a bobby pin or two as your wedding, prom or other fabulous event goes on. Carry some extras with you to replace what gets lost. What's the trick to keep them in place? To really make those bobby pins stay in and not slip out, spray them with a little dry shampoo before putting them in. The dry shampoo gives them some gripping power. You can throw a small travel size can of dry shampoo in your bag along with the bobby pins or check in the ladies room for the basket of necessities. Peeling Nails: should you file or not to file? Q&A: Do Fingers and Toes have to match?